Activity Based Working (ABW) is a transformational business strategy, that takes into account where, when and how people work. First introduced in the 1970s, the concept of ABW was further developed in the Netherlands in the 1990s. Today, more and more companies are now looking at ABW as a means of getting greater productivity out of both their offices and their teams. While the underlying concept of ABW is simple, there are implementation challenges that need to be considered. Rather than operating from the assumption that an individual will undertake all their work in one setting like a fixed desk, you create an environment which offers a variety of configurations depending on the task, such as workstations, collaboration areas, meeting spaces, or areas for quiet concentration. ABW also extends to outside the office, giving staff the flexibility to work from home or another remote location. Rising rents have put pressure on companies like never before. For a business, your office expenses are likely only to be exceeded by the cost of salaries. And nowadays with the floor space taken up by a litter bin in Central London costing up to £200 per square foot each month, ABW provides the opportunity to use your office asset better and to work smarter in your existing space. Times have changed, and so have the ways that we now work, with technology completely changing the need for everyone to come into the same workplace, at the same time. 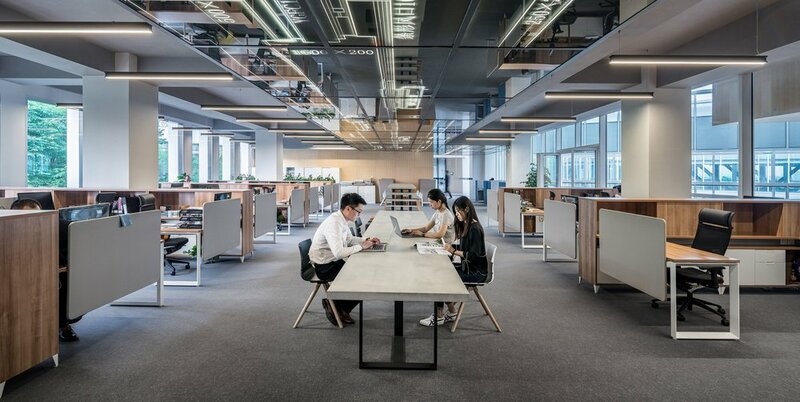 Businesses today are increasingly realising that technology has created an opportunity to rethink the relationship between the office environment and how to increase workplace productivity and effectiveness. This is why ABW offers much more to office design than merely providing a solution to space saving. The starting point for effective ABW is to examine everything from a people perspective. It’s an evidence-based approach, which first of all analyses and understands factors such as your organisation’s size, culture, objectives, ways of working, and leadership and management style. What’s important to recognise at the outset, is that ABW is both a workplace and a business strategy, and is best suited to an environment where decision making is inclusive at all levels of the organisation. It requires a degree of freedom and autonomy that is not typical in organisations that practice more traditional management techniques. ABW can therefore only be truly successful when it has the full backing of the management team, and all the people aspects have been fully considered to win the hearts and minds of staff. At its best, ABW should bring people together and enhance work activity. However, not every business may be ready for all aspects of ABW. For instance, the flexibility offered by desk sharing may or may not be the best solution in every case, and there may be a lack of flexible access to technology across all parts of the organisation. In many instances, the optimum solution is achieved through a combination of traditional working methods and ABW, looking at the most productive way individuals work, creating an office layout that encourages collaboration and makes the best use of both formal and informal meeting spaces. Successful ABW begins with finding the solution that is best for you, and at Cityspace we’ve worked with many businesses, both big and small, to create the optimum ABW environment. We know all about offices, and we also know that offices are all about people, and can, therefore, guide you through the research, planning, and implementation required to create an ABW workspace that helps your people collaborate, share knowledge, and maximise your productivity and growth. To find out more about how to make ABW work for you, please email us at info@cityspacemanagement.co.uk.